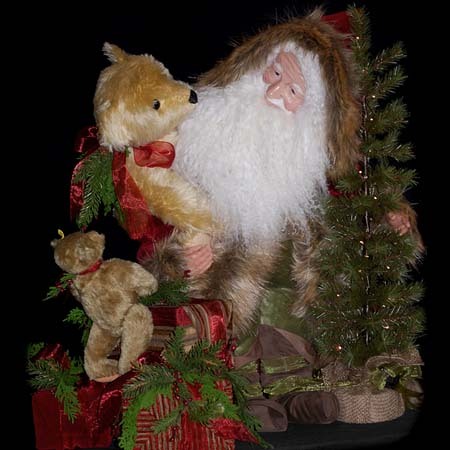 Silent Night is a perfect Christmas Santa with a traditional joy to him. 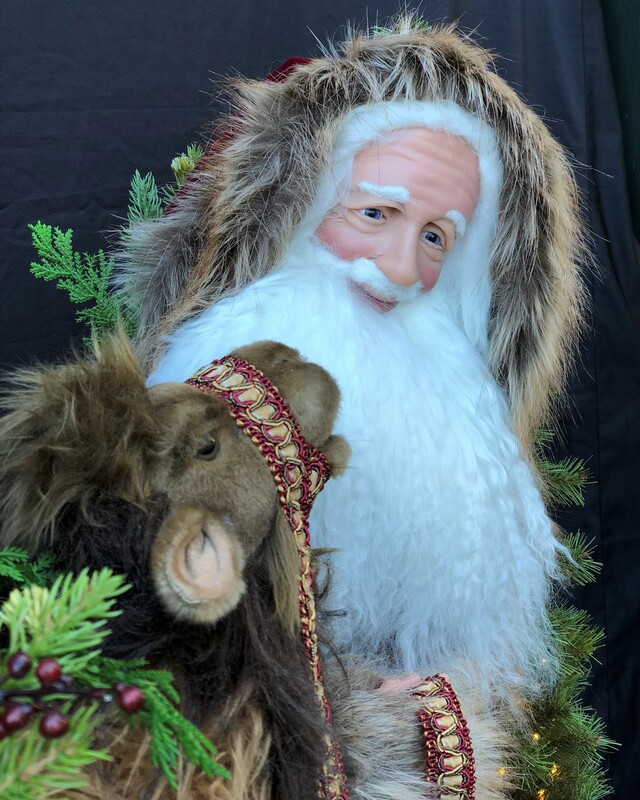 He is a 26-inch-tall Santa dressed in red velvet with beautiful brown faux fur trim and brown suede boots and cummerbund. 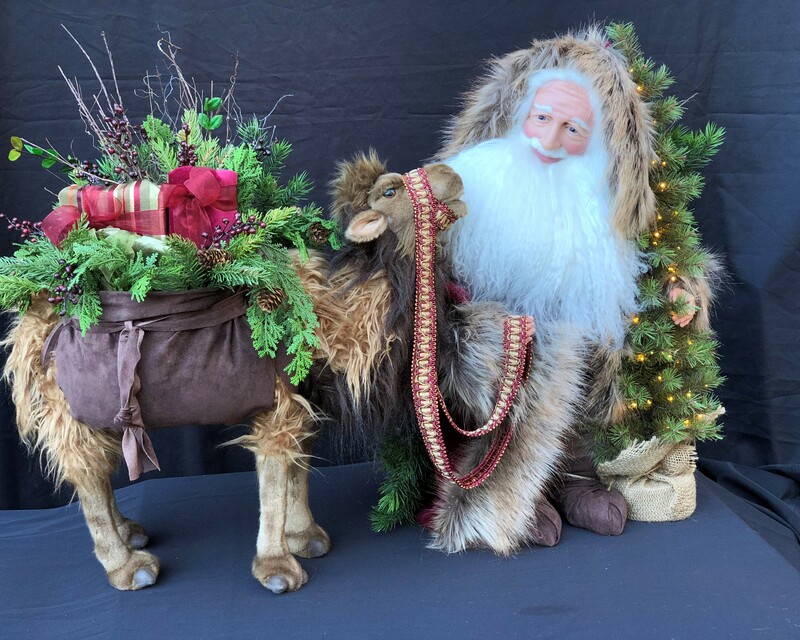 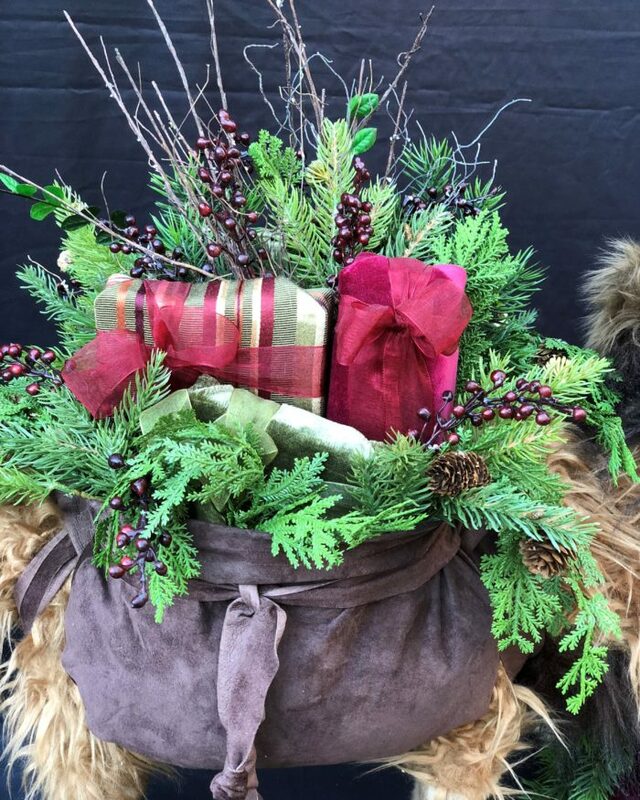 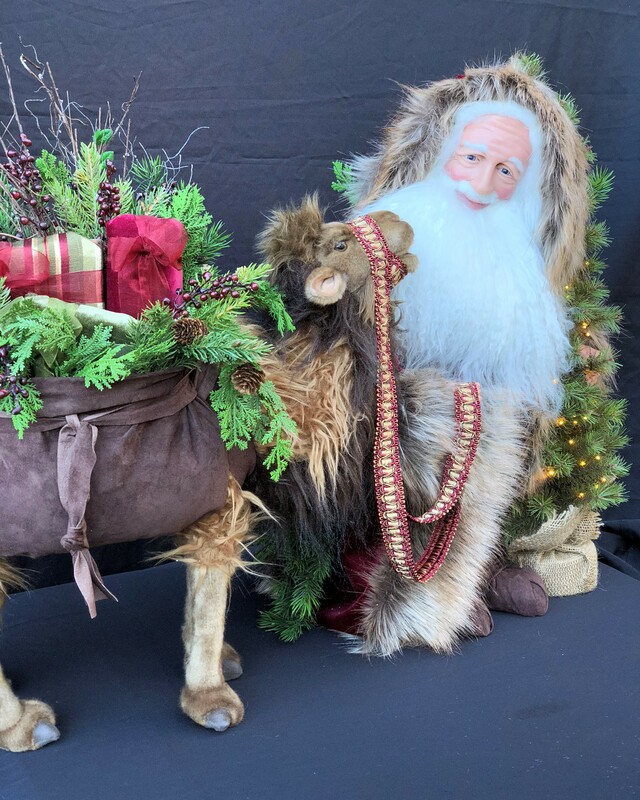 He is accompanied by a camel dressed in brown suede bags filled with beautiful fabric wrapped packages and an assortment of holiday greens. He has a Tibetan wool beard and a hand sculpted face making him a one of a kind treasure. 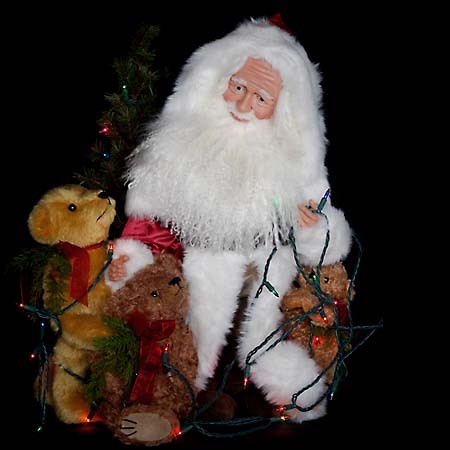 Lastly, he has a battery-operated lit tree creating a Christmas glow where ever he is placed. 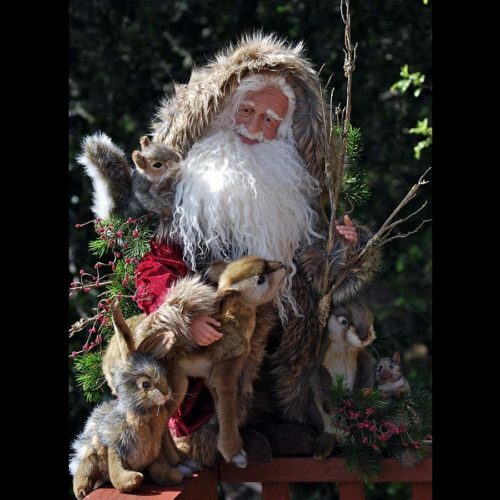 This Santa is the perfect statement for the most blessed season.